Facing constant social pressure to be thin, some women will go to extreme lengths to get and stay thin. The latest fad that some girls are falling for is the so-called ‘cotton ball diet’, which can pose serious threats to their health. It’s gone viral on the internet, and has the potential to kill people who try it. It’s been reported that models have been using this diet for a long time, but it’s now hitting the mainstream thanks to viral trends on YouTube, chatrooms, and Facebook. Videos are being uploaded on YouTube with young girls showing how to do the diet, which involves dipping cotton balls into orange juice, lemonade or a smoothie before swallowing them whole. The idea is that the cotton balls will make them feel full and satisfied, so they eat less and lose weight. Medical experts have labelled the diet ‘very, very dangerous,’ as many synthetic cotton balls are made of bleached, polyester fibers that contain a lot of chemicals. Not only do women face the risk of choking and malnutrition, but an obstruction of the intestinal tract is highly likely. 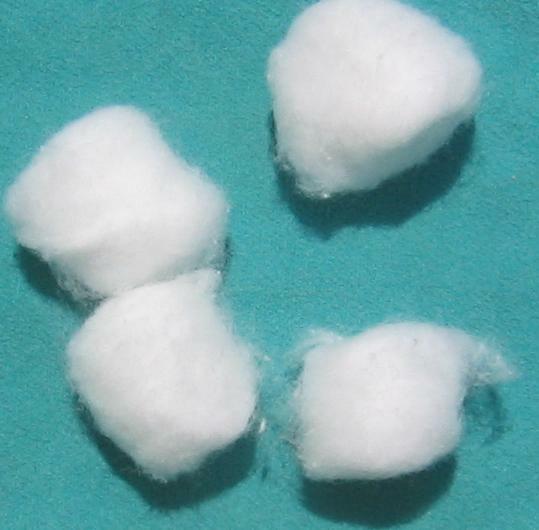 Over time, the cotton balls could build up and create several blockages or a full obstruction. Both of these complications could be life-threatening.